If you’ve always wanted to take scuba diving lessons, experience unparalleled adventure and see the world beneath the waves, this is where it starts. Get your scuba diving certification with the PADI Open Water Diver course – the world’s most popular and widely recognized scuba course. To enroll in a PADI Open Water Diver course (or Junior Open Water Diver course), you must be 10 years old or older. You need adequate swimming skills and need to be in good physical health. No prior experience with scuba diving is required. 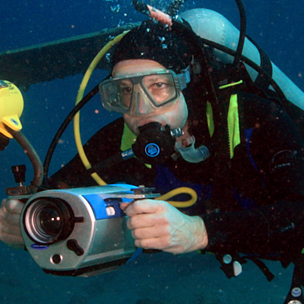 You will learn the basic principles of scuba diving in a professional classroom environment. Your weekend course can be done on Saturday and Sunday, 2 Saturdays or 2 Sundays. The course is divided equally between the classroom and the pool. Your standard course is 4 weeks long, 4 hours once a week. Each night is split equally between classroom learning and pool. This s the preferred course structure of most students as it allows sufficient time to read the textbook. This was the coolest experience ever. I wanted to learn to dive for going down south and was exposed to great diving right here in my own backyard. I even saw a shipreck named the Jessia Anne.